Scandals plague the olive industry from time to time: be it oil that isn’t what it’s claimed to be, or Aussie farmers being bought out by Chinese business interests. Now, more than ever, it’s worth knowing who’s growing your food and where it’s actually coming from. Buying local isn’t a quaint legacy of a 1980s green-and-gold advertising campaign; it’s actually smart, environmentally sensible and fair (if you believe that what goes around, comes around). But this is a good news story, so let’s get to the good bits. 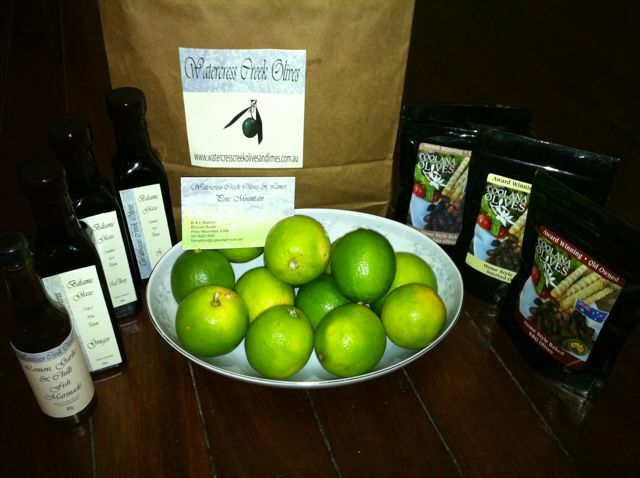 If you’ve ever wondered where places like Brisbane’s Cloudland source their delicious olives, I can let you in on a well-kept secret: Watercress Creek Olives & Limes, at Pine Mountain. The property is near Ipswich and has bounced back remarkably after Queensland’s devastating floods of 2011. 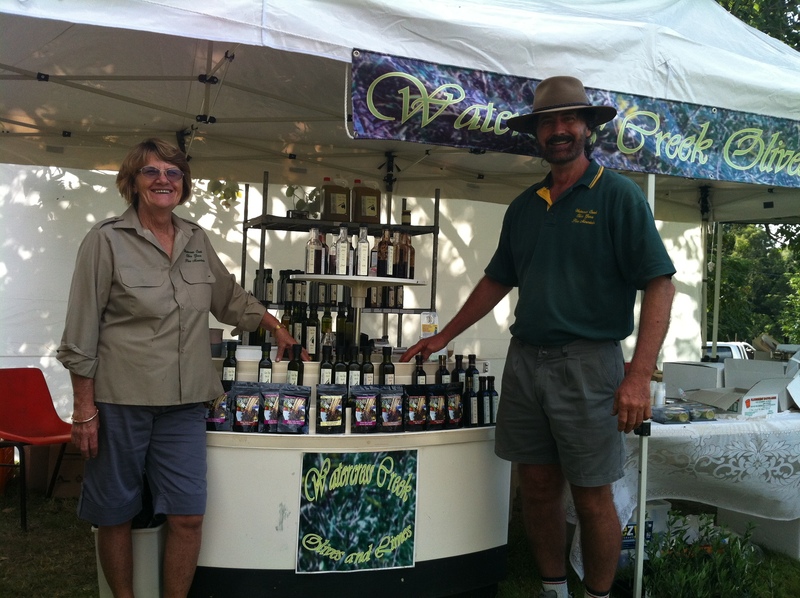 If you’re a dedicated foodie, you should contact the Mahon family by email and request an invitation to their next Olive festival. Entry is free, but unfortunately, you’re going to have to wait a year. I had the pleasure of attending on 11 March 2012: the day was a stunning success, beautiful food and scenery. 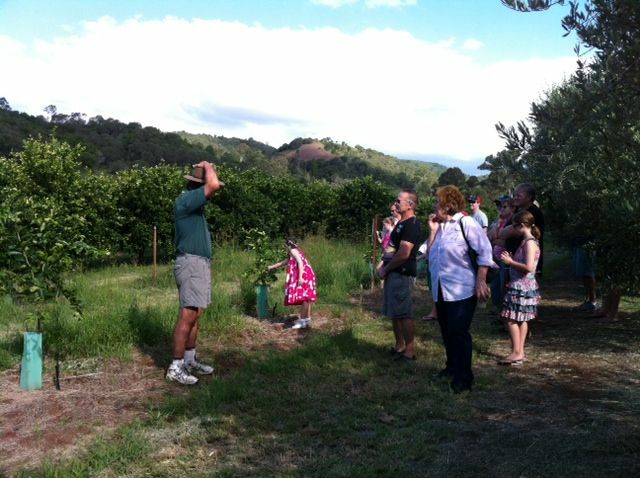 Be sure to get a tour of the olive and lime grove. 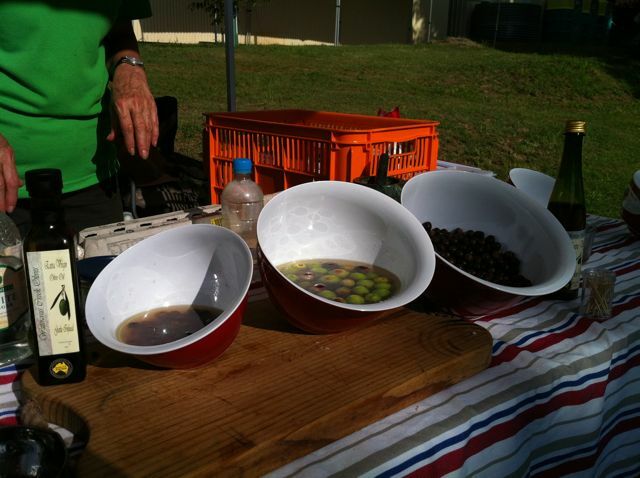 And instructions on how to marinate your own olives. Bernie giving a tour of the grove. 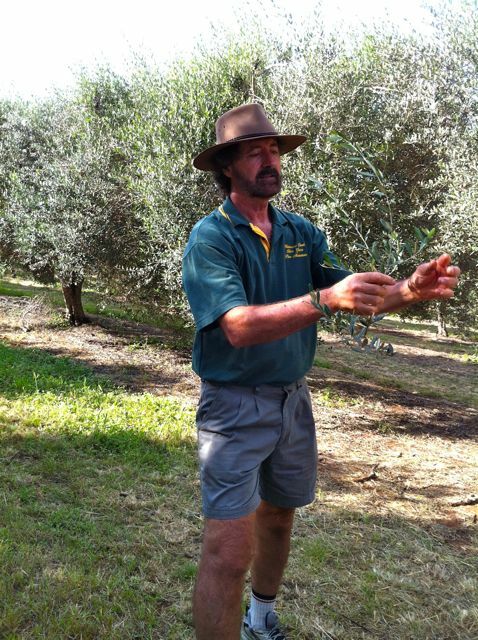 What goes into growing your olives is simply amazing. Some of the delights of the day…. There were products featured from other locals, including sheep milk cheeses, honey, natural soaps, woodturning pieces, to name a few. What came home with me…. 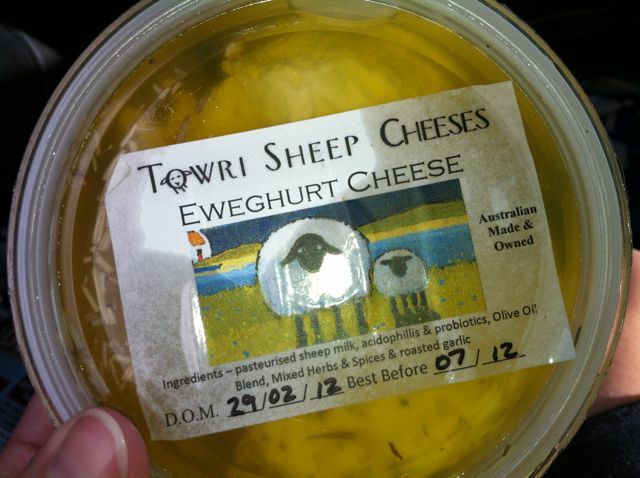 The sheep-milk cheese was a lovely surprise, quite unlike cow or goat milk products. It made my Sunday night ironing in front of the tv something special, along with a few olives, figs and dark bread. A tip for using limes: the green ones are best for your Coronas (beer) and other drinks; the yellowish ones are sweeter and best for marinating fish. A tip for storing limes: freeze them either whole (wrapped in plastic) or squeeze them out and store the juice frozen in ice cube trays. I’m going to have a lot of fun cooking with my variously infused olive oils. They’ll make great gifts for the people I most love to visit at dinner time, also. Just sayin’. I think it is great to buy food from the place it is grown. Buy local!!!!! Totally agree! Your blog showcases that to wonderful effect. Listening to producers speak about their work is inspiring. Local always tastes better too.